In many, if not all, commercial transactions, timing is everything, either for a distressed seller or a purchaser stumbling upon a deal that may almost be too good to be true. There is often no time to waste and a deal must be closed as soon as possible. 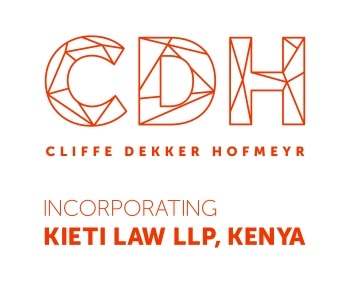 In the haste of closing a deal, whether in the form of a sale of business or a sale of assets, the parties often agree not to comply with the provisions of s34(1) of the Insolvency Act, No 24 of 1936 (Act), each willing to take the risk in not doing so. As some form of comfort the purchaser would insist on and the seller would agree to indemnify the purchaser against any and all claims or loss which the purchaser may suffer as a result of the parties not complying with the provisions of s34. If all goes according to plan, the six month period will pass and the purchaser and seller will each go their merry way. Unfortunately, more often than not, the seller is liquidated within the six month period referred to in s34, after the purchaser paid the purchase consideration and taken possession of the business or assets purchased, and the purchaser is left in the most precarious position, had the parties not placed the required advertisement as required in terms of s34. Below we illustrate, with reference to a hypothetical scenario, the practical consequences a purchaser could find itself in, in such circumstances where there has been no compliance with s34. A purchaser and a seller enter into an agreement in terms of which the seller sells its manufacturing business to the purchaser as a going concern for R10 million. The purchaser and the seller agree to not advertise the sale in accordance with the provisions of s34. The seller provides the purchaser with an indemnity against all claims and loss which the purchaser may suffer as result of the failure to advertise. The purchaser pays the seller the R10 million purchase consideration and takes ownership of the business, which the purchaser starts to operate for its own benefit. However, four months after the effective date of the transaction, the seller is liquidated. What happens now? In terms of s34, a failure to advertise renders the transfer of the business not the underlying sale agreement, from the seller to the purchaser void as against the liquidator and the creditors of the seller. In practical terms that means that although the purchaser complied with its obligations in terms of the sale agreement and made payment of the purchase consideration to the seller, transfer of ownership and benefit in the business and assets comprising the business is void vis-à-vis the liquidator and creditors – in other words ownership in the business and assets remain vested in the liquidator with effect from the date of the liquidation, notwithstanding payment by the purchaser of the purchase consideration to the seller. The liquidator can in such instances demand that the purchaser returns the business and all assets sold a part of the business to the liquidator, and should the purchaser fail to do so, the liquidator can approach the court for an order that the business and assets are so returned. The purchaser would in effect, since the date of liquidation, have been operating the business on behalf of the liquidator and it must be kept in mind that more often than not, one of the assets sold as part and parcel of the business is the lease to the premises. The purchaser would in such circumstances have to surrender occupation of the premises from which the business is operated. The risks are not limited to a scenario where a seller is liquidated within the six month period. In the absence of any advertisement, during the six-month period an individual creditor of a seller can institute proceedings against the seller and obtain judgment which can then be executed against the business, goods or property transferred by the seller to the purchaser, notwithstanding that such is or are in the possession of the purchaser. During the relevant period, it is open to a creditor who has not obtained judgment against the seller, also to seek a declaration from the court against the purchaser to the effect that the transfer is void as against creditors and this declaration will enable execution to be levied on the property in the hands of the purchaser at any time. What is the purchaser left with in these scenarios? Unfortunately, not much. The purchaser, if the seller is liquidated, after return of the business and/or assets will be left with only a concurrent claim against the insolvent estate. In the above scenario this would mean that the purchaser would be out of pocket by R10 million, paid to the seller, and having to hand back the business to the liquidator. A liquidator would in all probability sell the same business, already purchased by the purchaser, to another third party and the proceeds, after provision for the costs of liquidation, will fall in the free residue pot to be shared by all concurrent creditors of which the purchaser would be one. Any indemnification provided by the seller will have no value, as the seller is in liquidation. The purchaser thus stands to lose a substantial amount of money. The prejudice in the second scenario ie where the seller is not liquidated, would be less and limited to the value of the creditors’ claims executed against the assets purchased by the purchaser, and the purchaser would on paper have a solvent entity to enforce any indemnity claim against. The lesson to be learned is to make as sure as possible that the risk of the seller being liquidated within the ensuing six month period is almost non-existent should the parties agree than s34 advertisements would not be placed. To limit the risks further, additional indemnifications from parties other than the seller must be obtained. It is clear that “high risk high reward” may not always be the way to go when s34 is applicable even if the deal to be struck is too good to be true.